Kerry Social Farming is a voluntary, locally led, community based initiative. KSF funding and labour inputs comes from a number of sources. The project is primarily funded from the Department of Agriculture Food and the Marine (DAFM), with other funding and supports coming from The Social Inclusion and Community Activation Programme (SICAP), particularly in the early stages of project development (2013-2016). Between 2013-2016, overseen by Kerry County Council and administered by SKDP and NEWKD, The Social Inclusion and Community Activation Programme (SICAP) funds have been used to make any necessary improvements or upgrades on new social farms to address health and safety or access issues, to purchase safety clothing and footwear for new social farm participants and to cover some transport costs. The service providers - Down Syndrome Kerry, KPFA and SJoG - contribute E1,000 annually for costs such as transport and insurance. Workers in the Rural Social Scheme and Tus, both funded by the Department of Social Protection, help to transport some participants to or from the social farms. The relationships built between participants and community workers in this way are seen as the first step towards participants progressing on to work in community projects in the future if they wish. 2015-2016: The DAFM financed an expansion of the variety of activities available on social farms out of the Rural Innovation and Development Fund of CEDRA (Commission for the Economic Development of Rural Areas), while a proportion was match-funded by the host farmers themselves. 2016-2017: In 2016, Kerry Social Farming secured funding from the DAFM's CEDRA Fund to pilot a Social Farming Project in Kerry with national benefits. 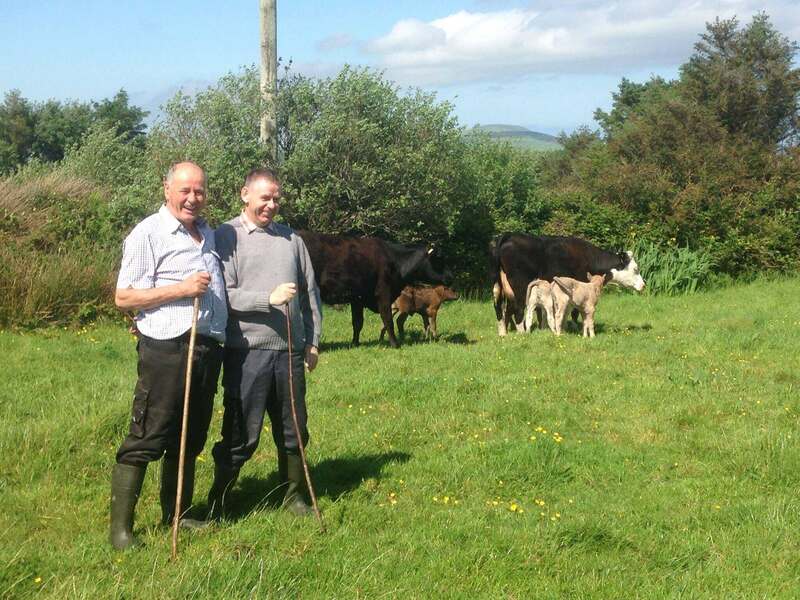 Through that funding, a full-time Social Farming Facilitator was hired to enhance the delivery, development and expansion of the project through 2017, recruit more farms and upgrades of the farms. It also funded the evaluation of KSF to independently review the project to date across its various stakeholders. 2017: In September 2017, Kerry Social Farming secured funding from the DAFM's CEDRA fund to finance the operations of KSF for 2017-2018. 2018: In September 2018, Kerry Social Farming secured funding from the DAFM's CEDRA fund to finance the operations of KSF for 2018-2019. In 2013-2016 the project was primarily funded from The Social Inclusion and Community Activation Programme (SICAP), overseen by Kerry County Council and administered by SKDP and NEWKD to upgrade farms in terms of Health & Safety adjustments particularly in the early stages of project development (2013-2016). While SICAP resources are still used to fund aspects of KSF, the project is currently primarily funded by the DAFM. During 2017/2018 SICAP/SKDP has provided support for job coaches to attend farms and support participants on social farming. This support will continue into 2019. SICAP funding through NEWKD helped with improvements for wheelchair access at Shannow Resource Centre, Abbeydorney and the installation of polytunnel on the farm of Rena Blake. The service providers - Down Syndrome Kerry, Kerry Parents and Friends and St John of God Kerry Services - contribute E1,000 annually for costs such as transport and insurance. Workers in the Rural Social Scheme and Tus, both funded by the Department of Social Protection, help to transport some participants to or from the social farms. The relationships built between participants and community workers in this way are seen as the first step towards participants progressing on to work in community projects in the future if they wish. Contact Kerry Social Farming with any queries. Kerry Social Farming was founded in 2013 by South Kerry Development Partnership. The Kerry Social Farming Project continues to expand with a total of 16 host farms and 2 community gardens currently on board. Copyright © Kerry Social Farming. The Kerry Social Farming Project is under the legal umbrella of lead partner South Kerry Development Partnership CLG.